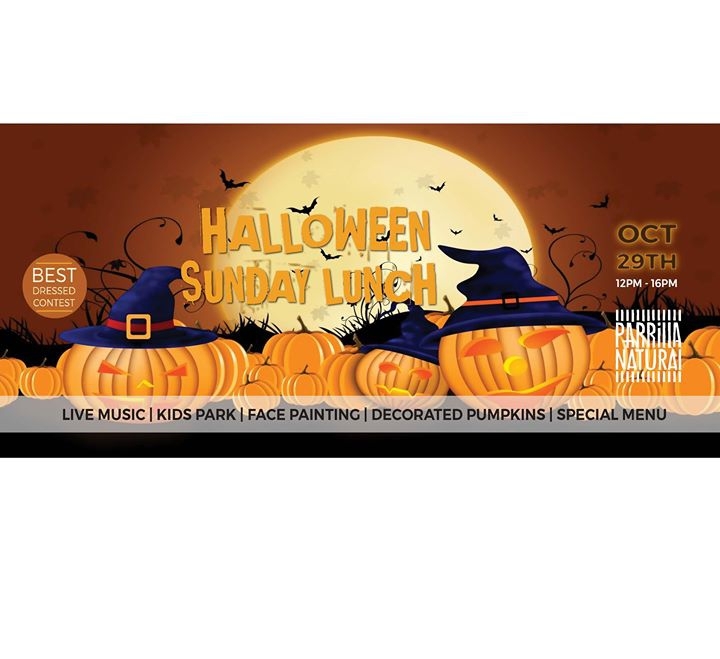 Parrilla Natural is celebrating Halloween with a fabulous Sunday lunch party! There's a special Halloween lunch menu, with lots of mouth-watering choices, including roast rib eye of beef with Yorkshire pudding and horseradish sauce, spit roasted pork with crackling and all the trimmings and a delicious veggie risotto. Download the full menu here - below. There will be live music too, a 'best dressed' contest, decorated pumpkins, face painting and plenty of tricks and treats for the whole family! Call now to book your table (+351) 289 350 040. OR click the ENQUIRY button above.